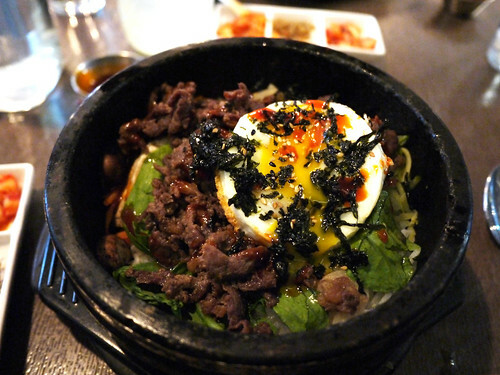 In brief: The hot stone bibimbap is still our preferred lunch at Barn Joo. We went to Barn Joo last Friday for lunch and were told it would be a 20 minute wait without a reservation, nuttiness! I'm glad we got a table yesterday though. It's probably not the most authentic bibimbap but we like it here.